It’s been a little quiet around here lately, and if this post title hasn’t given it away, it’s because Joel and I have been pretty hard at work getting some products shipped. At the day job, the bossman is generally responsible for shipping the builds off to Apple, so archiving builds isn’t normally my deal. But, a while back I ran into a situation where I couldn’t share an IPA from Xcode Archives; and rather than the app icon, the archive list has some stupid notebook with a sketch that says “Archive” on the front. 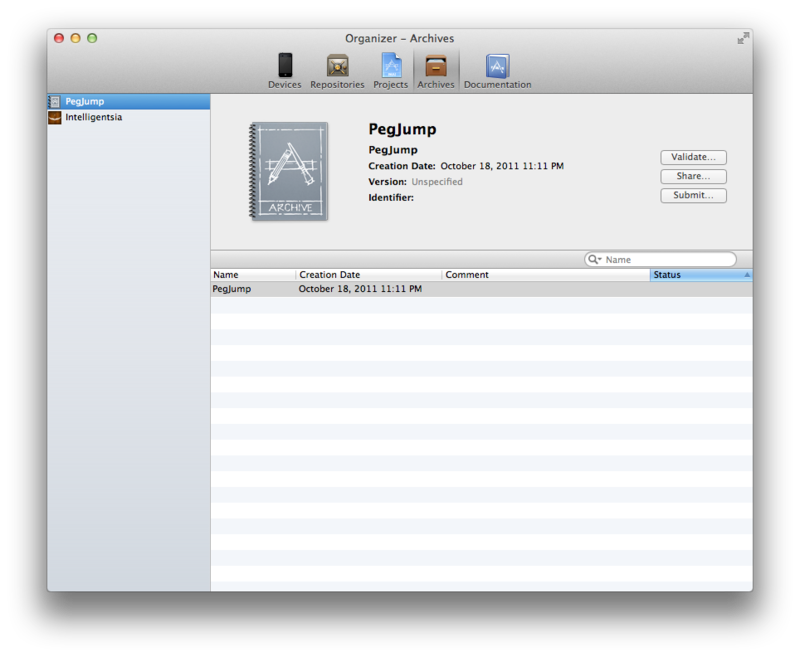 “PegJump” does not contain a single–bundle application or contains multiple products. Please select another archive, or adjust your scheme to create a single–bundle application. The common theme here? Both applications were using static libraries, and the libraries are also being dumped into the archive. The archive contents can be seen by right clicking the archive and choosing “Show in finder”, then right clicking the .xarchive and choosing “Show Package Contents”. Being tired and stupid, I tried just deleting the extra files inside the Products directory; this was a terrible idea, and definitely didn’t work. Some quick googling later, and a Stack Overflow post gave me the correct answer – in the build settings of your sub-projects / dependencies, set the skip install property to YES. This basically prevents the libraries from being added (installed) to the build archive. At this point – archiving your project should give you a nice, fully functional archive – ready for validation and sharing. 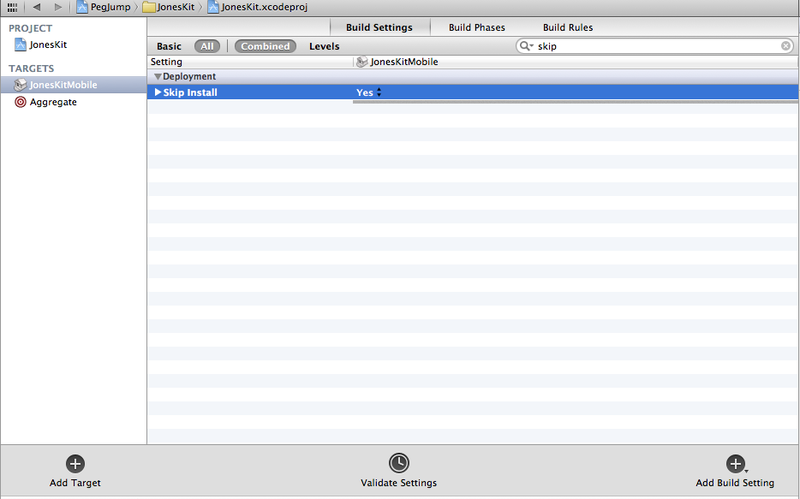 This entry was posted in Explanation and tagged archive, xcode. Bookmark the permalink.